That statement, though, is in stark contrast to one made by his son Donald Jr. in 2009 as a keynote speaker at a Moscow real estate conference. “Russians make up a pretty disproportionate cross-section of a lot of our assets,” Trump Jr. said during his speech, according to reports from the time. “We see a lot of money pouring in from Russia.” He didn’t just say they do “some” business in Russia he made it clear that Russia was a major source of income when he said, Russians make up a pretty disproportionate cross-section of a lot of our assets.” You can’t have it both ways and the Trump family has this issue surrounded. The two Trump family statements are obviously at odds with one another, there’s a huge gap between the “Disproportionate cross-section” statement and the, “I own nothing in Russia. I have no loans in Russia. I don’t have any deals in Russia,” comment. That disparity alone, though, is not enough to launch any kind of an investigation, there would have to be a great deal of other evidence before that could happen but when you add the President’s refusal to say anything critical of Russia in General or Vladimir Putin specifically one can certainly begin to be a little suspicious. Even with those two elements, though, it would be very difficult to gain the attention of a real investigator. Before we delve further in the Russian connection let’s examine the issue a bit. Why is such a connection bad? Would we be as excited about this if our President had similar ties to England or France or Sweden? In short, the answer ought to be, “yes,” because of a constitutional clause about which few are familiar. It’s called the emoluments clause and here’s what it says. 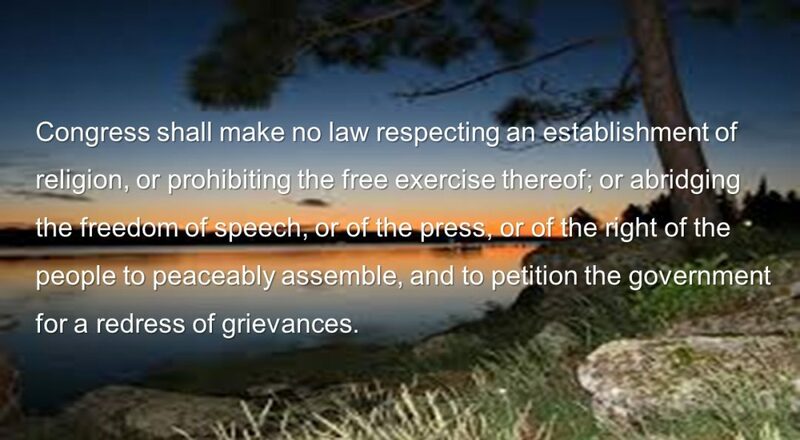 Emolument, then, is a “payment” in any form from a horse to a chicken to a pot of gold to a fancy title… Anyone who accepts such a payment is subject to whatever discipline the congress chooses and violation could easily qualify as in impeachable offense. So now the challenge is to figure out if Mr. Trump actually did receive any emoluments as President and there is mounting evidence that he has. Because he did not sell off his business ventures or place them in a “Blind trust,” he is receiving payments from citizens of foreign countries or foreign government officials by virtue of the fact that they are staying at his hotels, or have become members of his golf resorts or even played golf there because his name is at the entrance to those establishments and their patronization is meant to gain his favor. The exclusive golf resort in Florida named Mar A Lago, for example, has raised it’s yearly membership fee from $100,000 to $200,000 since he became President and membership has increased substantially. Emoluments are but one example of ways in which Mr. Trump and his companies may have broken the law. There are other considerations, too. Russia, for example, is not like the U.K. or France or Sweden in that those countries are allies of the United States. We generally have the same ideals, concerns and world View. Russia, on the other hand, has traditionally opposed U.S. efforts on almost every Front. In the Middle East the country has not only opposed almost every one of our resolutions, it has aligned itself with the foes of Israel like Syria and Iran which have been identified by U.S. intelligence agencies as exporters of terrorism. Often in the United Nations Security Council of which the U.S. and Russia are permanent members, Russia often either opposes U.S. positions or vetoes them. Since World war two in which the U.S. sided with the Russians against Germany, and provided them with billions of dollars of weaponry, food, uniforms and other material, Russia has opposed us in Korea, Cuba and Vietnam. One would be hard pressed to call Russia a friend or even neutral. Frankly there is ample evidence to clearly label them as an enemy. It was they, after all, that hacked into U.S. Democratic Party files and then attempted to influence the American election of 2016 and as of this writing it is still unclear if they did have something to do with Trump’s unexpected victory. Since his candidacy for the Presidency began he has steadfastly refused to be critical of anything the Russians do and in particular has gone out of his way to flatter Vladimir Putin, Russia’s President. One might even say that Trump has assisted Putin’s efforts at destabilizing the western nations. Ever since the end of World War ll NATO (the North Atlantic Treaty Organization) has stood as a defense against first Soviet and then Russian expansionism. The leaders of the Soviet Union (Putin headed their secret police the KGB) and their successor the Russian federation have sought to break up NATO and have failed at every attempt. Up until the entrance of Trump into American politics, NATO remained strong and unshakable. But, since his candidacy where he questioned the member’s commitment to the organization and demanded more money from them, cracks have developed in that foundation. Trump accomplished in a few weeks what the Russians have been trying to do for decades. While his administration says that the U.S. remains committed to NATO, the once- solid relationships have become less so and our allies are wondering about the direction this President will ultimately take. Not only has Mr. Trump shaken NATO some of our long-term friendships have become uneasy. In Britain, for example, huge demonstrations have demanded that the UK withdraw its invitation to Trump to visit the island nation and in a phone call, he reportedly offended the Malcolm Turnbull Prime Minister of Australia, one of our closest allies. So with all that, there is plenty of reason to suspect what Donald Trump’s motives are with respect to our position in the world community. Then, when you take a closer look at his many Russian connections one can easily become more suspicious. Trump’s former campaign manager Paul Manafort is said to have ties to Putin’s friends in the Ukraine and to have collected some $11 million in payments for his work as a consultant to them. Manafort denies the charges. Former National Security advisor, Mike Flynn, was not only paid speaking fees by the Russians, he lost his job over hiding the fact that during the campaign he met twice with the Russian Ambassador and Trump’s new Secretary of State, Rex Tillerson who was the CEO of EXXON had both business ties with Russia and a Personal friendship with Vladimir Putin. And that’s just the beginning. Then, just yesterday Trump ordered the firing of all Obama appointed U.S. Attorneys. Among them was U.S. Attorney for the southern district of New York Preet Bharara who is said to have Jurisdiction over the Trump empire. Informed sources say that Barara had begun investigating Trump just before he was fired. Posted in Donald Trump, The Russian Connection.Tagged Donald Trump Jr., emoluments, heaalth care, INCOME, KGB, loans, NATO, Putin, Russia, Soviet Union, Trump. Nicely done, Bob! I’ll bet his tax records would be interesting also. Previous Post Trumpcare — What is it and Can it Pass?